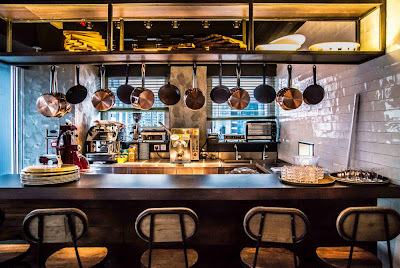 Hailed as home to Asia's very first vermouth bar, Pirata recently opened in Wanchai serving up family style Italian cuisine. We went on the first day of opening a couple weeks ago while the restaurant was in its soft opening stage and tried out a variety of dishes. 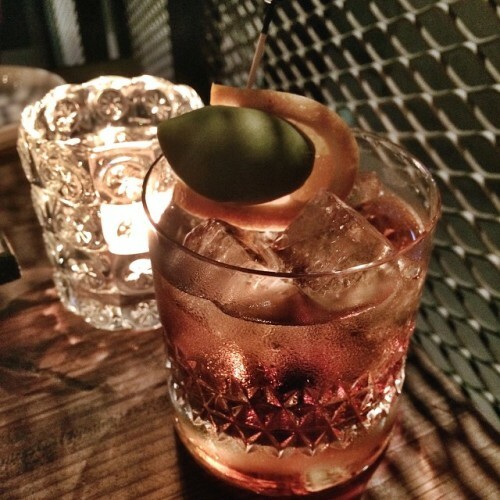 Upon arriving, we were offered a complimentary vermouth cocktail (above) which was quite weak but enjoyable nonetheless. 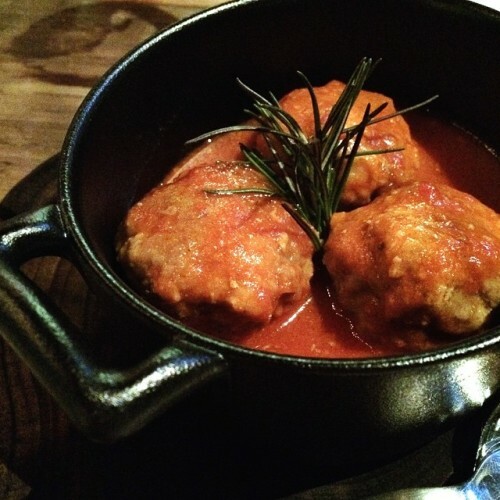 First up we tried My Mama’s Meatballs, beef, pork, Italian egg, tomato sauce, basil and extra virgin olive oil. Unfortunately the meatballs tasted quite bland and were lukewarm even though the pot it arrived in was hot. Oddly enough, when we had the last meatball, it was warmer than the first two, presumably from sitting in the hot pot while we enjoyed the food. 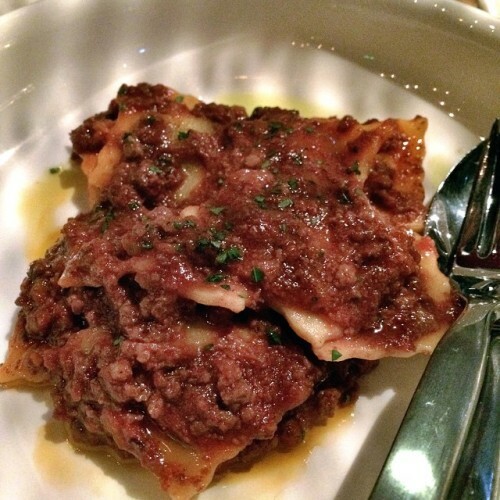 The Agnolotti “Grandma Paolina” with beef ragu, was nicely done with no complaints. We also ordered up a side of Italian tomato salad which was refreshing. 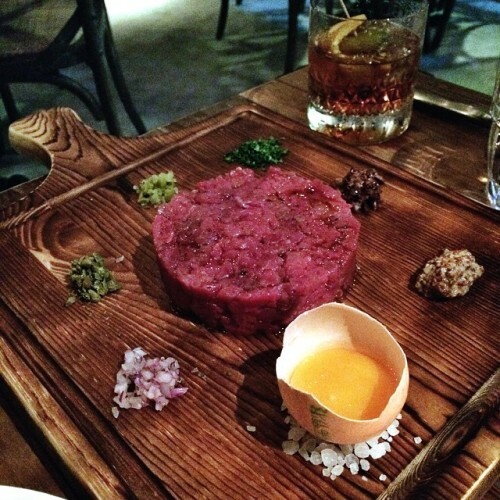 Those who know me will know that I have been on the hunt for good steak tartare (the one at Seasons is sublime and worth a visit for sure.) While I enjoyed that we can mix the ingredients and flavour to our liking, even after mixing all the spices together, the end result was under seasoned and bland. We ended up requesting for more salt and pepper to try to improve the flavour. We rounded up the meal by ordering the Valrhona chocolate fondant and a mille-feuille where the former was a straightforward affair while the latter was soggy and mushy bringing a disappointing end to the meal. Overall, I'd say that the intention for good food is there while service was spotty but as mentioned upfront, it was their first day and there are bound to be teething problems. Hopefully the food and service will improve in a couple months time. 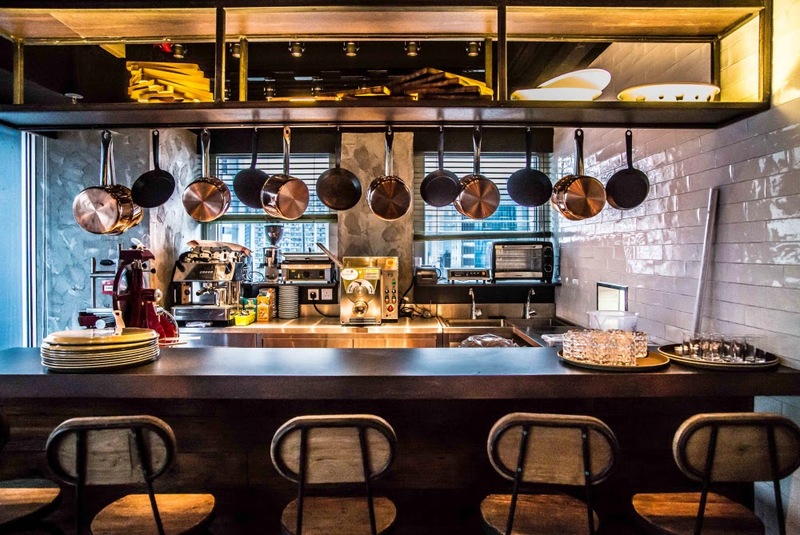 Dinner for two came to HK$650 with a 50% discount during opening.